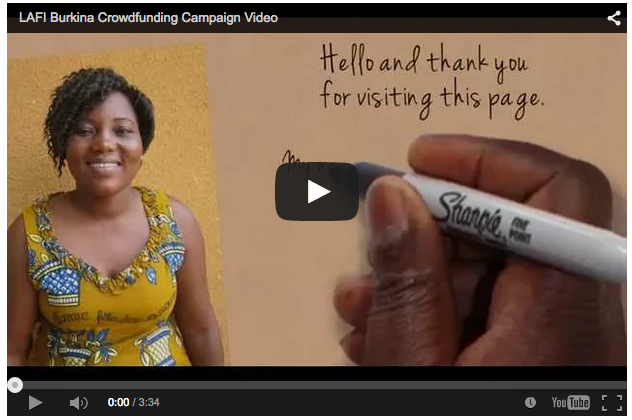 Crowd funding has gone live! Today (Sunday 1st March) is an important day for LAFI Burkina. Today is the day we are launching our crowd funding campaign through which we are aiming to raise £2000 (€2757, $3087). This money will bring LAFI Burkina one step closer to becoming a registered charity, which will bring us one step closer to being able to help our partners with important projects such as Espace Bambino. You can find more information about the projects we will be supporting on the Tigoung Nonma and Handicap Solidaire Burkina pages on this website. Thanks everyone for checking out our news page. Please support us, we appreciate all donations however great or small – you can find our crowd funding campaign here.